Singer Island, Florida not only has a variety of condo options for residents, but also offers lovely beaches, crystalline waters, a casual island vibe and a great variety of fun things to do nearby. With water on three sides, beautiful parks and walkways, aquatic and eco-adventures, Singer Island is one of the best kept secrets in Florida. 1. Location: Singer Island is a barrier island, located on the Atlantic coast of Palm Beach County, Florida in the South Florida metropolitan area. The attraction of Singer Island’s location is the intracoastal waters on one side and the crystal blue Atlantic Ocean on the opposite side. One of the reasons Singer Island condos are so desirable is Singer Island’s luxury island living with close proximity to nearby amenities. Singer Island is 20 minutes from Palm Beach, FL and the Palm Beach Airport. Key Largo is close for a getaway and Orlando is just up the road for amusement park outings with the family. Cruises have their home ports located in South Florida, so vacations are easy and often come with a nice Florida resident discount! 2. 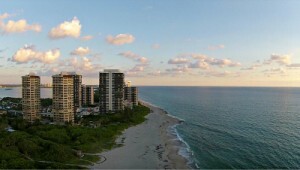 Weather: The pleasant weather enjoyed by Singer Island residents is an obvious reason to buy Singer Island condos. The warm Gulfstream waters and balmy Atlantic Ocean breezes combine to provide an ideal year-round climate. During the summer the average high temperature in Singer Island is in the upper-80s with lows in the mid-70s. During the winter Singer Island residents enjoy high temperatures in the mid-70s and lows in the 60s. Talk about beautiful! Not to mention that Singer Island’s temperate atmosphere makes it the perfect place to enjoy many outdoor recreational opportunities. 3. 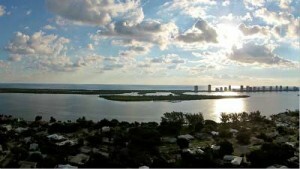 Carefree Condo Lifestyle: Singer Island condo owners enjoy a carefree island lifestyle! As a Singer Island condo owner, you won’t need to worry about the everyday chores of maintaining a traditional home like landscaping, yard maintenance or roof repairs. In addition, as the owner of a condo in a well-appointed condo building you will have access to amenities such as a swimming pool, spa and concierge services. 4. Beaches: Among Palm Beach County’s 29 public beaches, Singer Island has a unique claim enjoyed by Singer Island condo owners. At the apex of the bulge where Palm Beach County pushes into the Atlantic, is also the point where the deep blue Gulfstream swerves closest to land, which accounts for the Caribbean hue of ocean water found in Singer Island. Singer Island’s long sandy beaches are considered by many to be the best in Florida. Singer Island is also an important nesting beach for loggerhead turtles as well the much rarer green and leatherback turtles. 5. Great Outdoors: Not only do Singer Island condo owners get to enjoy some of the best beaches in Florida, but they also have access to the world’s 3rd largest barrier reef system in the Atlantic Ocean, Lake Okeechobee the second largest freshwater lake in the lower 48 states, the Florida Everglades which are full of unique flora, plants and exotic animals, and the Wakodahatchee Wetlands which are full of marshes, ponds and sunning alligators. Singer Island residents can also enjoy the great outdoors via a variety of wildlife refuges, nature centers and botanical gardens. 6. Recreation: Singer Island is the ideal place for condo owners to enjoy a number of recreational activities. Whether you simply want to walk the pristine beaches while enjoying the sunny weather or go on a world class fishing, snorkeling or scuba diving expedition, Singer Island condo owners enjoy easy access to Florida’s beautiful beaches and state parks. MacArthur State Park is on Singer Island. In addition, residents can enjoy a wide variety of shopping and entertainment at historic Clematis Street, CityPlace, Worth Avenue and the Palm Beach Gardens Mall. Great shopping can be found at The Gardens Mall, including Bloomingdale’s, Macy’s, Nordstrom and Tiffany’s to name a few. 7. Golf: Condo owners in Singer Island get to enjoy world-class golf. The world famous golf courses at PGA National are only minutes away. Golf legend Jack Nicklaus is a local resident, his foundation produces the Honda Classic and part of PGA Boulevard is named Jack Nicklaus Way. PGA National is home to many events including the Honda Classic each year. 8. Baseball: Roger Dean Stadium is a $28 million complex specifically designed to house two Major League and four Minor League baseball teams. This makes Roger Dean Stadium the only venue in the nation to have six professional baseball teams utilize the facility throughout the year- making it widely known as the busiest ballpark in the nation. Singer Island condo owners can enjoy the beautiful weather while taking in a Spring Training game; Roger Dean Stadium is the Spring Training home of the Miami Marlins and St. Louis Cardinals. 9. Festivals and Events: Singer Island condo owners can enjoy the numerous festivals and events that take place year-round given the incredible weather they enjoy. Festivals celebrate food and wine, live music, wildlife preservation, equestrian events, jewelry, arts, antiques and more. There are events for art installations, lagoon tours, beach marathons and more. There really is something for all Singer Island condo owners. 10. History and Museums: Even if Singer Island condo owners snoozed during history class in school, they can still enjoy numerous National and Florida historical markers in and around Singer Island. There is the Jupiter Inlet Lighthouse & Museum with the light that has been shining since 1860 and breathtaking views from the top, making it No. 1 on the list of historic buildings in The Palm Beaches. Also, Riverbend Park where the Second Seminole War battles took place in 1838. Finally, don’t miss the historical marker for the barefoot mailman that celebrates mail carriers that delivered mail by foot along the sandy Florida beachfront in the 1880s. Won’t you join us? Contact your very own Singer Island condo specialist, Realtor Kathy Lewellen, to learn how you can call Singer Island home. As a Singer Island resident and with years of real estate experience, Kathy provides superior service as she helps you find your perfect Singer Island condo.